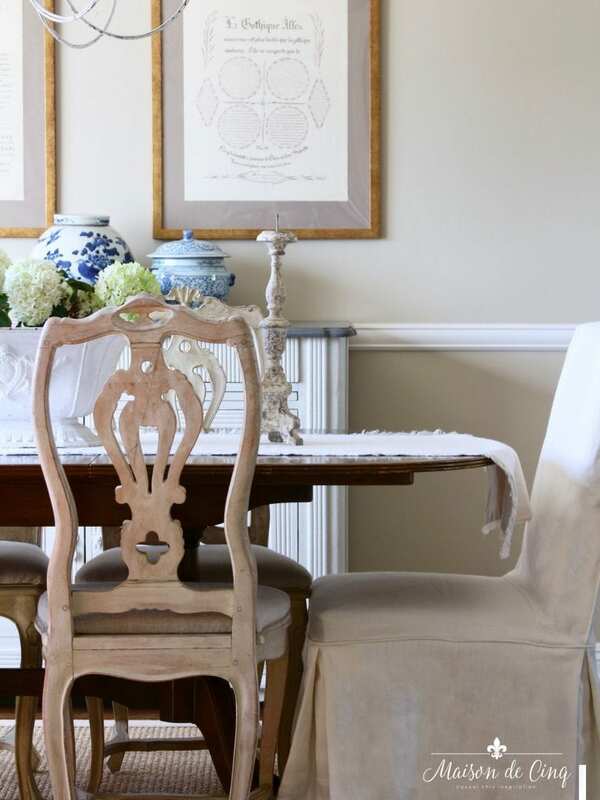 Friday Favorites - Crushing on Blue and White Decor! 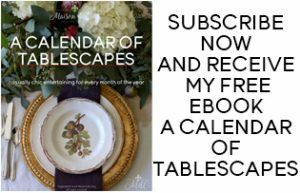 Friday Favorites – Crushing on Blue and White! One of the prettiest images I’ve ever seen! 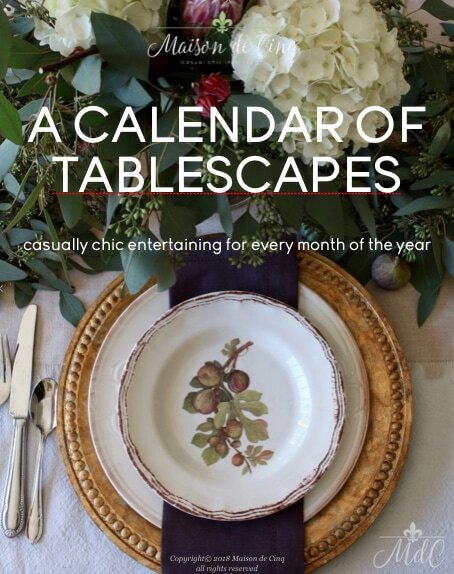 Design by Mary McDonald. 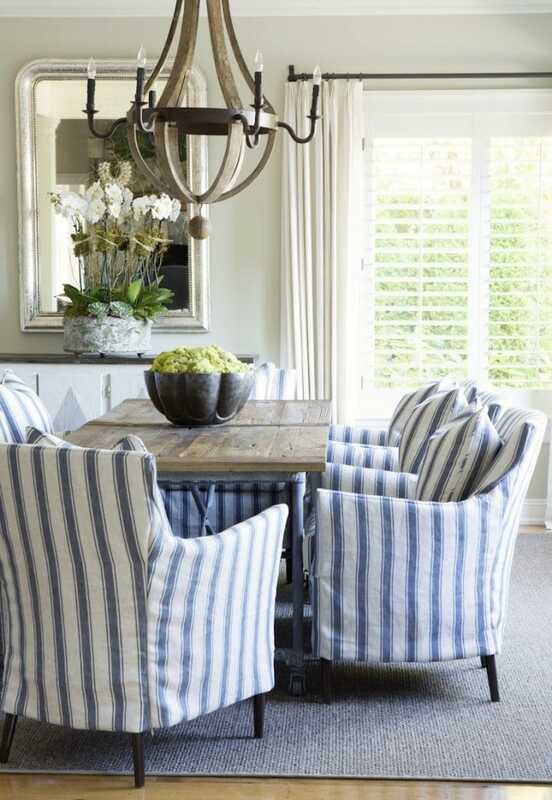 I love the blue and white striped slipcovers in this adorable breakfast room! Design by Sam Allen. 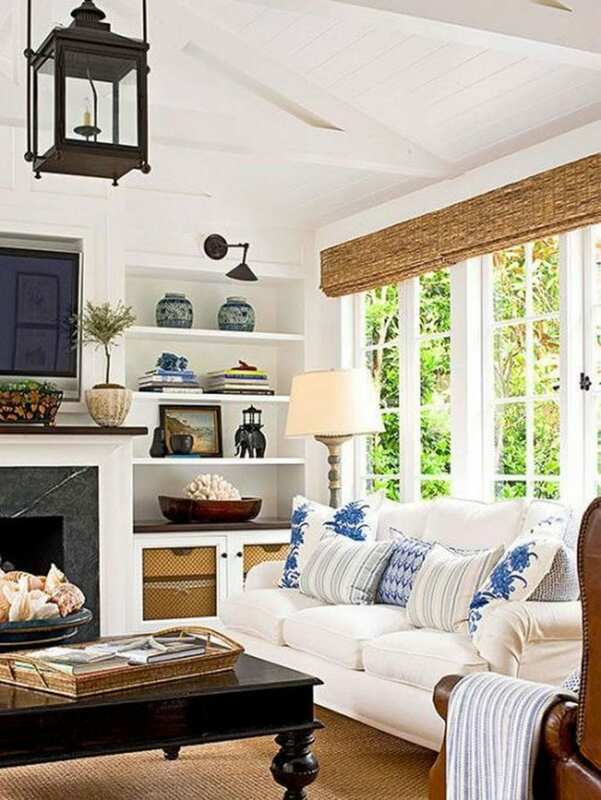 Burnham Design via Coastal Living magazine. 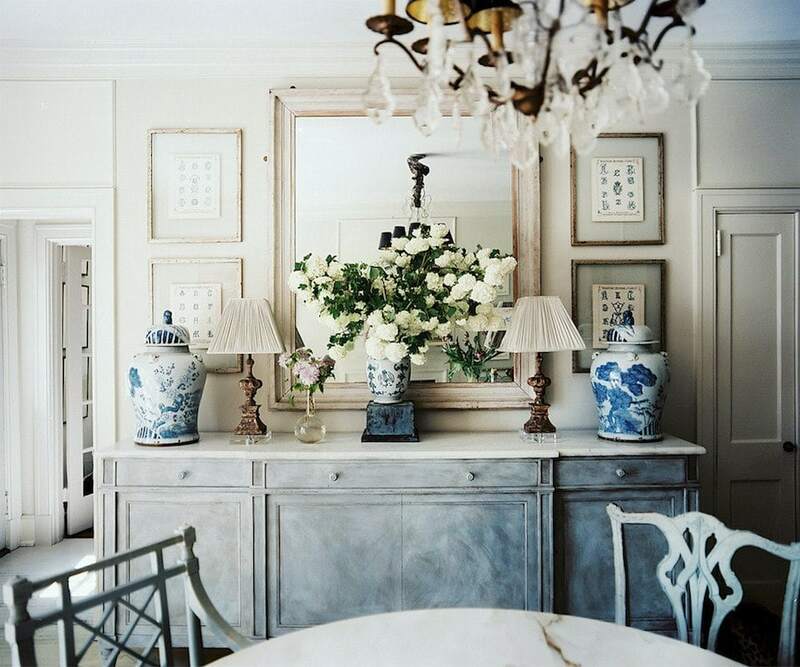 Design by Christy Ford via Lonny magazine. 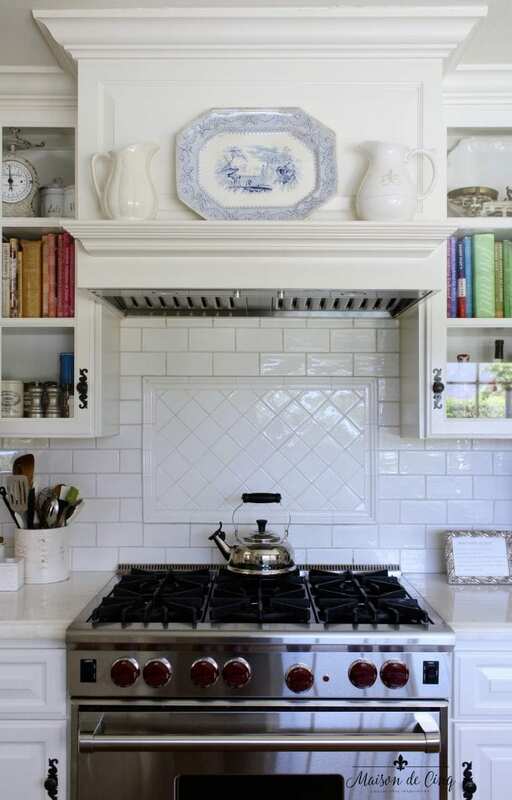 Absolutely adore this white kitchen with the blue and white ginger jars! 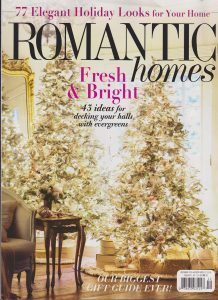 Design by Carolyn Roehm. 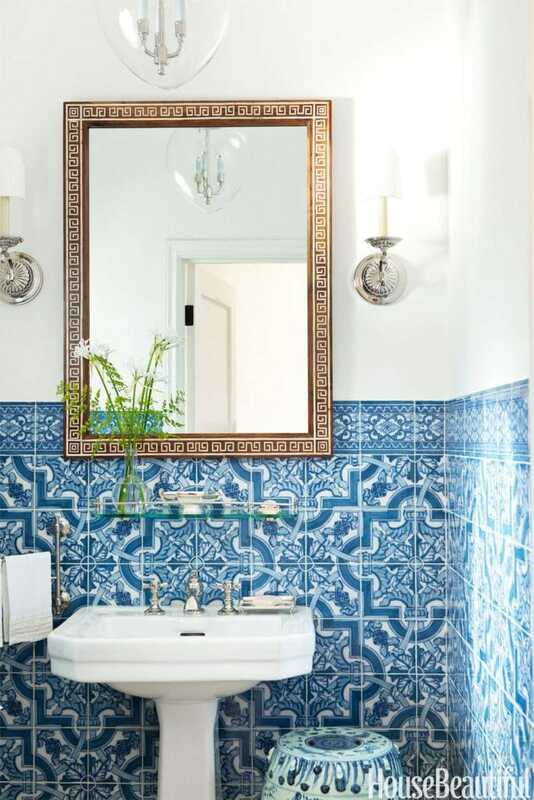 I’m in love with this blue and white bathroom tile! 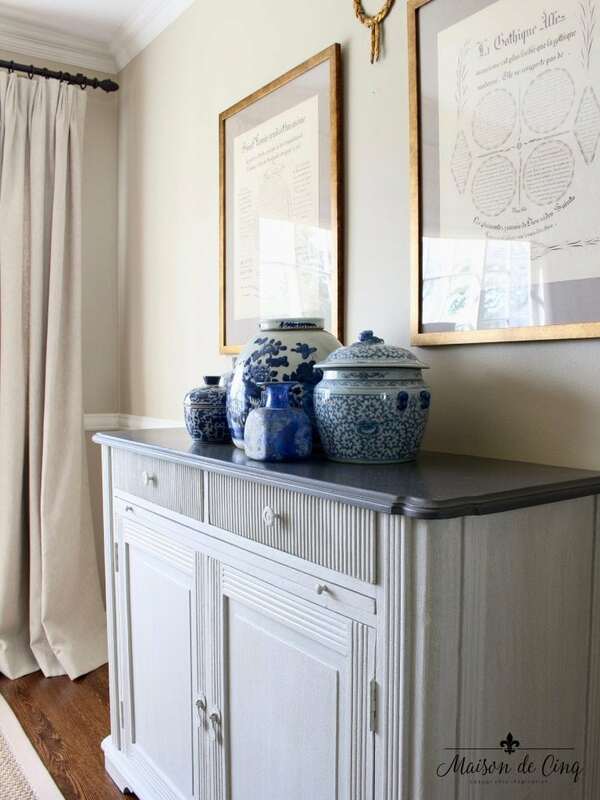 Mark D. Sikes via House Beautiful. 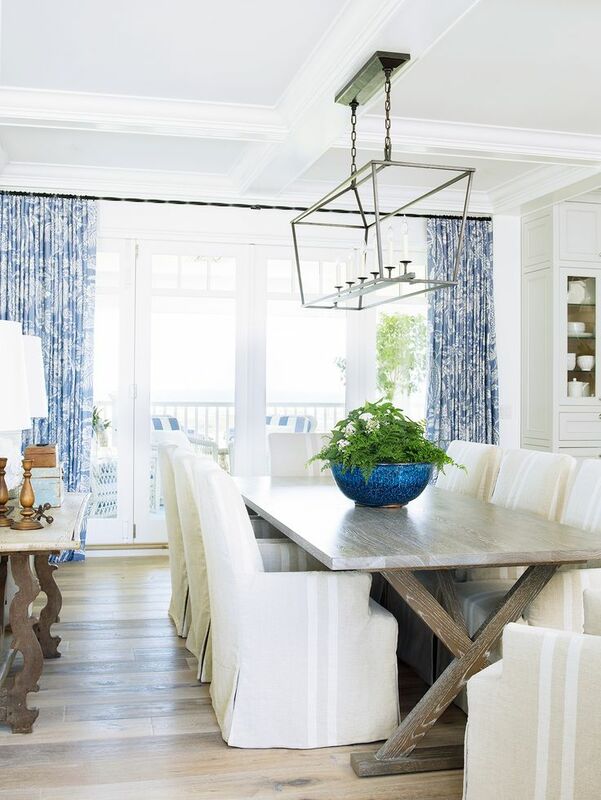 No article on blue and white would be complete without this amazing tablesetting from Lisa Luby Ryan via Veranda! All of these rooms have really inspired me. In this year’s summer tour, I added touches of blue and white again and I’m loving the fresh look of it. It really is the perfect color for summer! 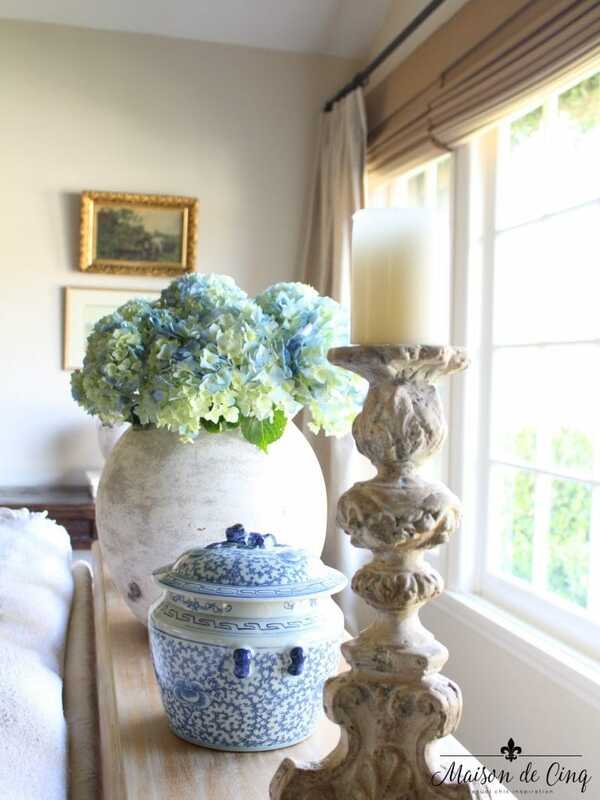 Adding some blue and white ginger jars in my dining room changed the whole space, and I’m in love with the result! 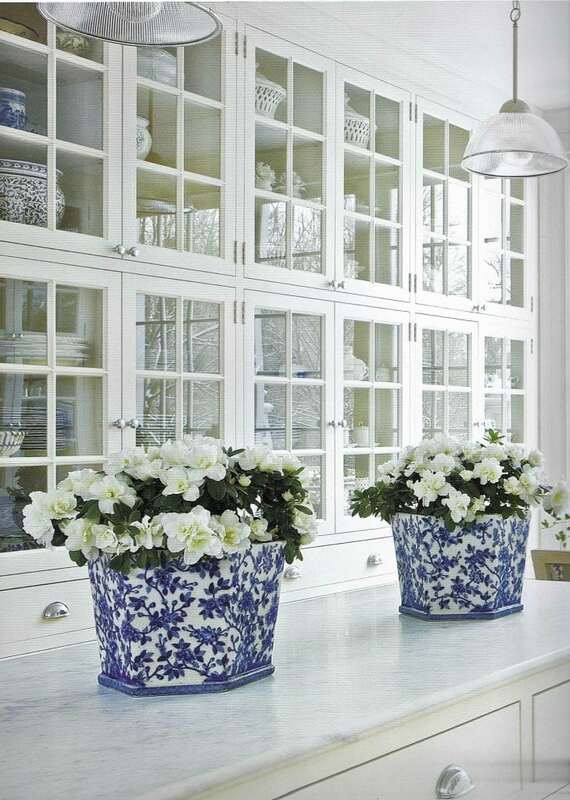 One of my favorite things is blue and white transferware! Here I’ve added it to my kitchen mantel. 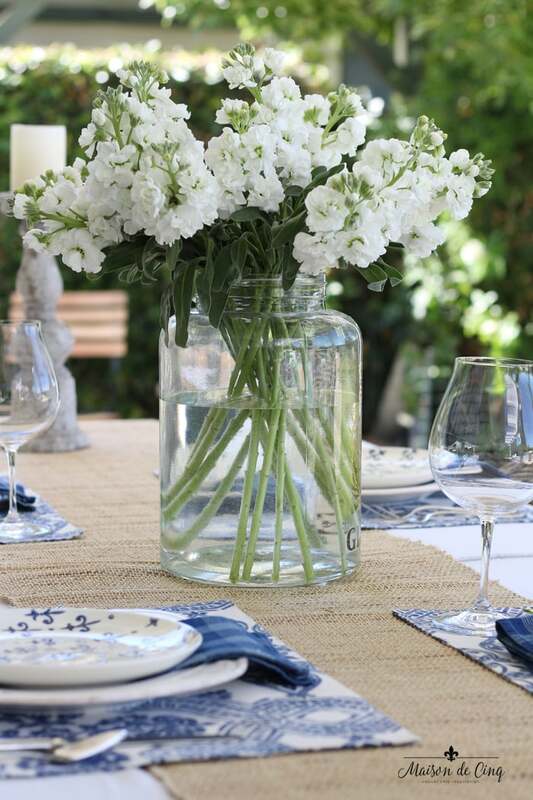 And this blue and white summery tablescape is one of my favorites! 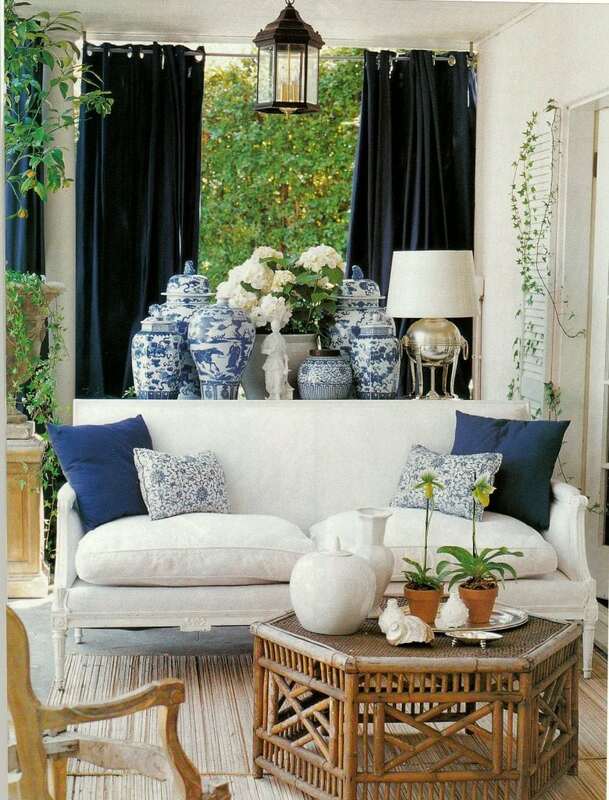 Here are some ideas for you if you’re interested in adding some pops of blue to your summer home! Mad about the Midi – Yes or No?